Where Shopping & Giving are in the Bag! An upscale event coordination company, LAIK is dedicated to transport you and your guests into a unique experience — upon arrival to departure and everything in between. Let us help make your event the talk of the town. Classy Living Society aspires to promote the advancement of women in business and entrepreneurship and to promote those businesses through networking, advertisement, patronage and more. We have programs and initiatives in place that will empower, rejuvenate and encourage growth for you and your business. With word of mouth largely driven by social media and technology these days, it is just as important to public perception to give back to the community as it is to offer exceptional products and services. Social responsibility places a business in an excellent position to be recognized by customers, other businesses (for networking purposes), employees and of course, the community at large. Implementing a good solid community service plan for your company provides potential for growth and stability – all because you’ve decided to make a commitment to give back. As a busy entrepreneur, you may not have time to personally go out and volunteer, or to implement a program. Or perhaps you don’t know where to begin! That’s where CLS comes in! We invite you to take advantage of the opportunity to participate in our Give Back Club! The advantages of Give Back Club membership are many! 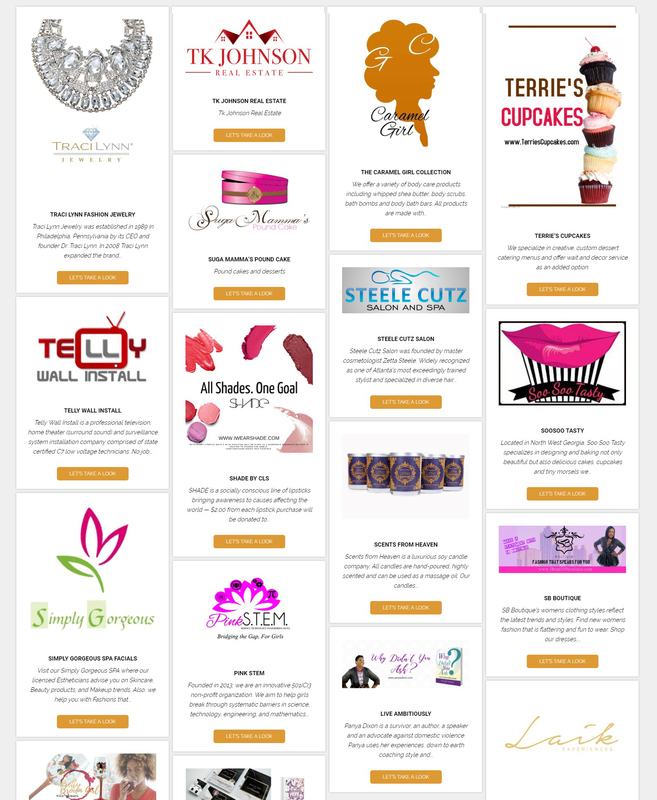 When you list your business as a member of the Give Back Club, you will become a part of a virtual store on our website, opening up the possibility to advertise your business and enjoy MAXIMUM EXPOSURE to 400+ website visitors each week! In addition, we will assist you and your business by arranging for you to support a nonprofit organization on a quarterly basis with tangible items. CLS Cares is Classy Living Society’s GO GREEN Initiative. We are committed to saving our planet one step at a time and we are proud of our mission to promote sustainability. We will provide eco-friendly tips and opportunities — conservation and preservation, ride sharing, rotating volunteer events by county/town/city/area, recycling programs, promoting farmers and gardening for fresh veggies, and more. CLS realizes the key to a greener planet is in all of our hands. Through our quarterly Society Saturdays – CLS members will park their cars…and get on a charter bus to ride to various nonprofit organizations to volunteer. What’s even more exciting is … this is a synchronized effort in each state where a CLS Society is located! Ride sharing means less Greenhouse Gas emissions polluting our environment, which will improve air quality. On these excursions, CLS plans to perform eco-friendly services, i.e. clean up trash on our adopted roads, planting on-location gardens, assisting with recycling programs and much, much more! As a Give Back Club member, you will be sponsoring our CLS Cares initiative by providing tangible donated items to present to select nonprofit and community service organizations nationwide during our quarterly Society Saturdays! You can become a member of the Give Back Club for the low monthly fee of $12.00! Specialty printed T-shirts for members to wear while volunteering, with sponsor’s information prominently displayed on the back of the shirt. Sponsors logo is printed on CLS drawstring bags which volunteers will wear while volunteering during Volunteer week and quarterly “Get on the Bus” volunteer efforts. Sponsor is added to CLS’ weekly newsletter to all members during the quarter(s) in which sponsorship is extended. Social Media and CLS website exposure in advance of and during each quarterly “Get on the Bus” national CLS volunteer initiative. The company receives a full-page ad in the printed Classy Chronicles during Volunteer Week and the Red Dress Gala. Company is also recognized in the digital Chronicles and Chronicles Too! Speciality printed T-shirts for members to wear while volunteering, with sponsor’s information prominently displayed on the back of the shirt. The company receives a quarter (1/4) page ad in the printed Classy Chronicles during Volunteer Week and identified as a supporter of the CLS “Get on the Bus” quarterly volunteer effort for that calendar year; Including an honorable mention in the special Red Dress Gala printed Chronicles edition printed annually in the Fall. The sponsor is also recognized in the digital Classy Chronicles and Chronicles Too! Social Media and CLS website exposure in advance of each quarterly “Get on the Bus” national CLS volunteer initiative. Classy Chic Sponsor funds will be used to purchase T-Shirts for CLS members to wear while volunteering, water bottles, and healthy snacks to support CLS members as they volunteer on community projects and give back with their time, talents and compassion. Business or Sponsor Name will be printed on the back of the Volunteer T-Shirts and worn during our “Get on the Bus and Volunteer” initiative. Recognized in the Classy Chronicles and Chronicles Too online periodicals.